Jaime Raybin earned a Bachelor of Fine Arts from Watkins College of Art in 2006. 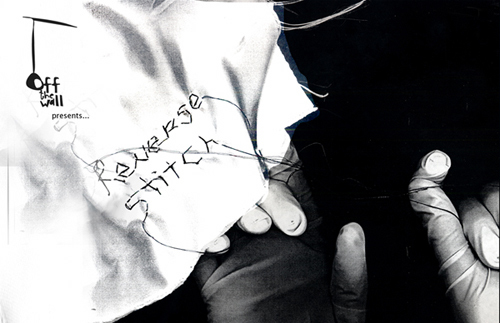 Her work has been shown at the Institute of Contemporary Art (Boston, MA), Northwestern University (Evanston, IL), whitespace gallery (Atlanta, GA), the Frist Center for the Visual Arts (Nashville, TN), Athens Institute for Contemporary Art (Athens, GA), and the University of the South (Sewanee, TN). She has been an artist in residence at the Contemporary Art Center at Woodside (Troy, NY), Grin City (Grinnell, IA), and Tiny Circus (Grinnell and New Orleans, LA). 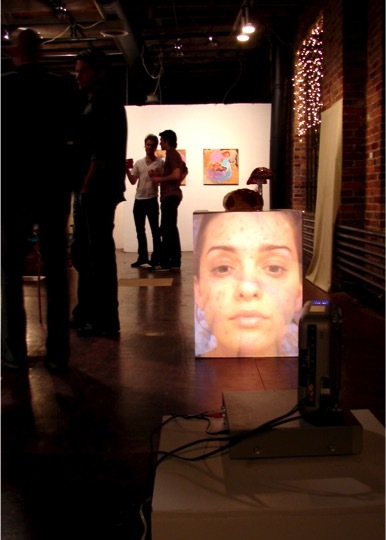 Raybin, along with her collaborator Ryan Hogan, were awarded a Professional Development Grant from the Tennessee Arts Commission in 2011. Off the Wall was a Nashville artist collective that held thirteen exhibitions over the course of seven years. The exhibition series culminated in a retrospective talk at the Frist Center for the Visual Arts. We met as students, forming a tight bond that continued into our careers. We held group meetings on a biweekly basis from 2005-2011, acting as a network for support and critique. Front row from left: Janet Berkley, Jaime Raybin, Quinn Dukes. Back row from left: Jenny Luckett, Mahlea Jones, Iwonka Waskowski. Previous members included Jennifer Ramsey and Jessi Smith. While each artist made work separately, the exhibitions were highly collaborative, with each person's body of work created simultaneously while undergoing continual critique. Many Off the Wall exhibitions featured a guest artist, chosen to collaborate with the group for the duration leading up to the exhibition. 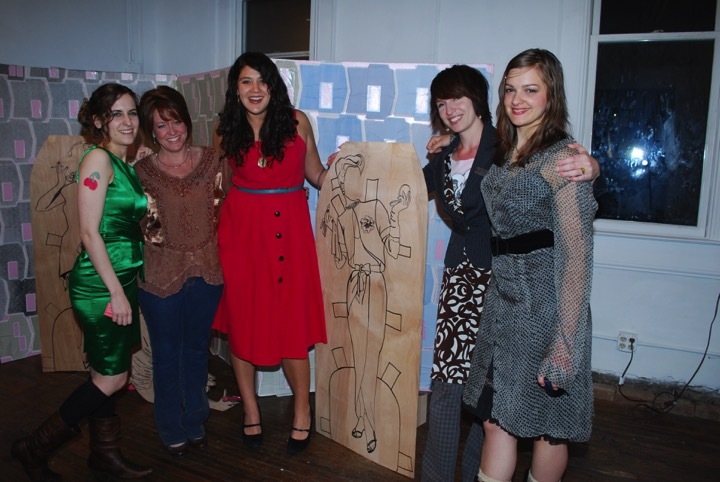 Guest artists included Nicole Baumann, Mandy Rogers-Horton, Colleen McCormick, and Abby Whisenant. 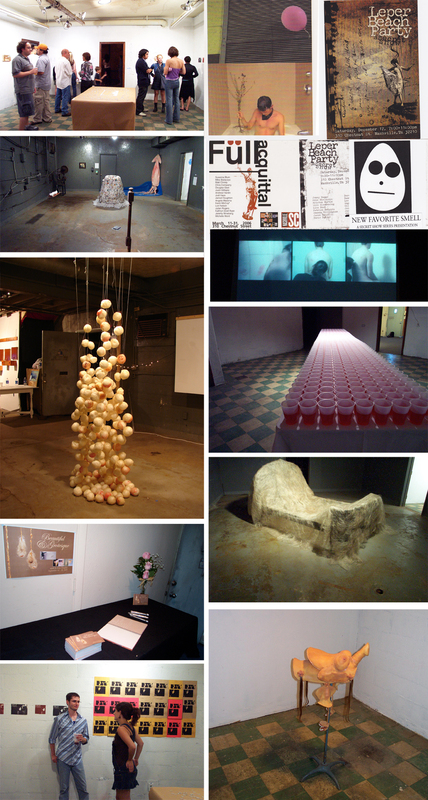 The Secret Show Series was a curatorial organization dedicated to producting exhibitions of conceptually driven art in nontraditional gallery spaces. The Secret Show Series was active from 2004 to 2006. 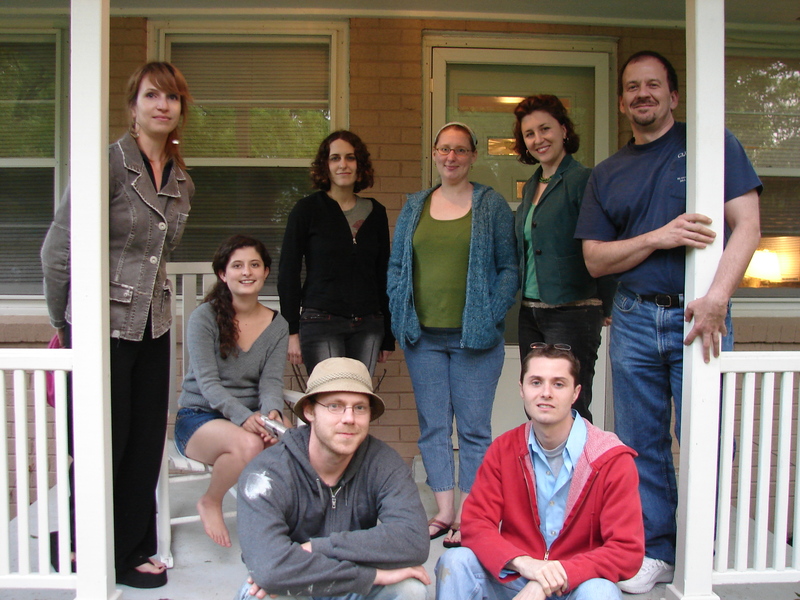 I co-organized eight shows and helped operate the group's affiliated project space, 310 Chestnut St.
Clockwise from back left: Iwonka Waskowski, Amanda Dillingham (co-founder), Jaime Raybin, Eve Peach, Heather Spriggs Thompson, Derek Gibson, Jason Driskill (co-founder), and Will ClenDening. Not pictured: Kristin Burton-Work. The name “Secret Show” came about because the first shows were held in a space where we did not have permission to be, the hallway of an industrial building where Jason had his art studio. The shows were literally a secret, and there was always this illicit air that “we could get caught, we could get in trouble, Jason could lose his studio.” Cryptic postcards hinted at what awaited you if you went to the shows, which were always one night only. Even when the shows became more legit, we tried to retain the underground feel, like you had been invited to a rave. 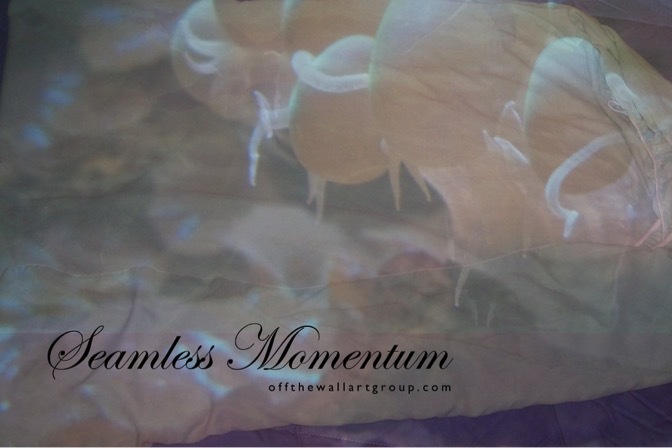 The work that was exhibited was often challenging. Primarily it was conceptual work, and often we showed experimental pieces that existed outside of the type of work shown in most local art venues at the time. The art was not for sale, that was explicitly part of the mission, the work was not there to be judged on commercial terms. 310 Chestnut St was an alternative art space that existed from 2005-2006 in the Houston-Wedgewood District in Nashville. The space was operated by the board of the Secret Show Series. The gallery, a former record-plating factory, was primarily used as an exhibition space for Secret Shows, but also operated as an event space for other art shows and concerts. 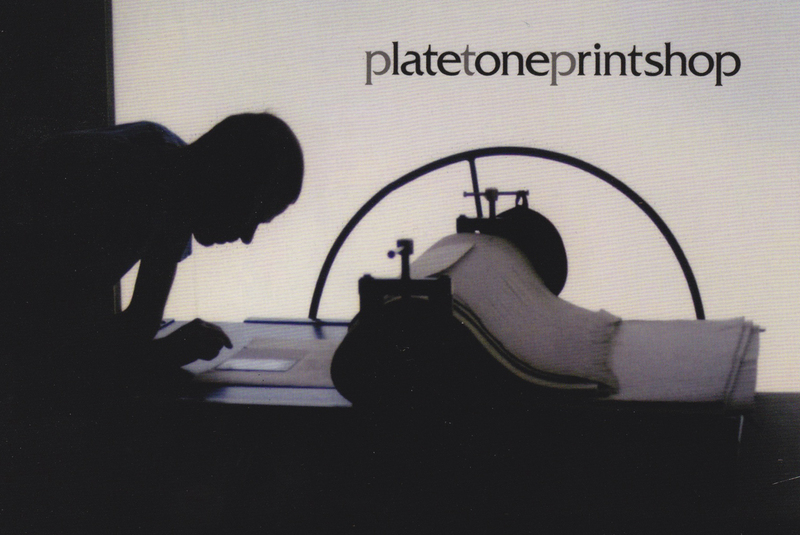 Platetone is a longstanding Nashville-based community printmaking space. Raybin served as President from 2007 to 2009. The organization, which has since been renamed Platetone Prints and Papermaking, is currently located in East Nashville. As President of the Board of Directors, I facilitated group meetings for both the board and the general membership, helped coordinate a relocation, oversaw the development of promotional materials and campaigns, chaired events to raise public awareness of the organization, met with Tennessee Volunteer Lawyers for the Arts about the possibility of trying to become a 501(c)3. 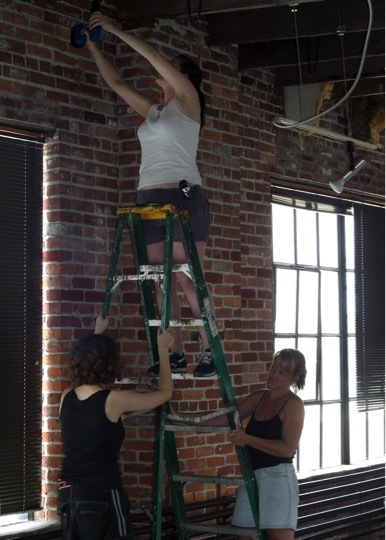 I also researched potential grant opportunities, worked with fundraising, and networked with other art organizations to build mutually beneficial relationships.